The prospect of aging at home is very attractive to many seniors. When your aging loved one is staying with you at home, this may also be an advantage for you. After all, you can have the peace of mind that your elderly parent or grandparent is just within your reach whenever they need your assistance. Along with this, you can also opt to get help from a home health care agency in San Diego County, California whenever you can’t be available to attend to your loved one’s care needs. However, you might also have some concerns about getting outside help, especially from people you’re not familiar with. How does a reputable care agency, such as Healthwise Home Health Care, Inc., help address the top issues about home care providers? Here, we would like to enumerate these issues and the ways we’re addressing them as a leading provider of home health care in National City, California. We assign a key staff who will be the main contact person for the care needs of your aging loved one. This way, there will be a similar transmission of the message as to how the caregiver can best serve the client. We recognize that time is a valuable asset. Our team is highly oriented in respecting the time of our clients such that they don’t arrive late and leave early from their assigned client’s home. Whenever these incidences happen, we provide the necessary professional intervention. Our home health aide are being given the sufficient training to do all home care tasks expected of them in the client’s place. We intend to give nothing more but the best of our services, so we always aim for quality training before deploying our staff to the field. We understand that our clients have their own preference and modes of payment. Even at the onset of assessment, we always strive to serve our clients in ways that best fit their situations, which include the pay conditions. Whether you prefer to pay weekly or monthly, we can always work around your preference. 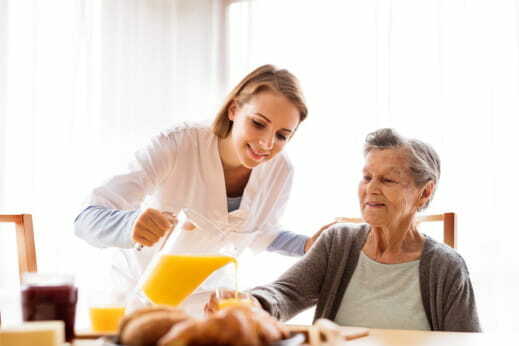 Whenever your assigned home health aide for the day calls in sick, we ensure that your care service is not compromised. We find a ready replacement so that your aging loved one can still be assisted at home with their respective care needs. At Healthwise Home Health Care, Inc., nothing holds more importance for us than to know and be assured that our clients have received the quality level of care that they deserve. We understand how our aging loved ones can benefit greatly when they stay at home. We would like them to fully take advantage of this close proximity to you. That’s why we will be right here to attend to your concerns with regards to our services. This entry was posted in Home Health Care and tagged caregiver, Health Care, Home Care Complaints, Miscommunication. Bookmark the permalink.